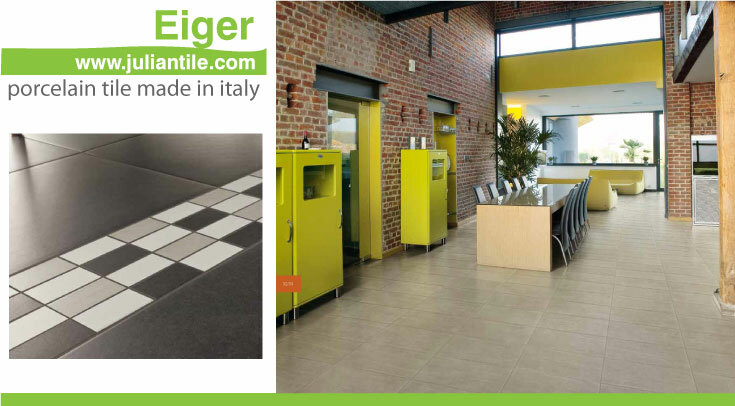 Ceramic tile continues to be the preferred choice around the world for centuries for its beauty, durability and the abundant natural material used for it's construction. The endless installation options truly makes each room unique to be enjoyed for generations. 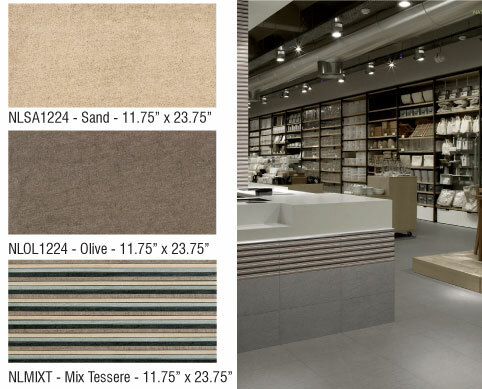 Discover unlimited design and customization possibilities, mixing colours, textures, patterns, shapes and styles. In North America, sustainable buildings are defined by several green building standards, codes, and rating systems that, put together, recognize a wide variety of sustainable product attributes such as low occupant energy costs and reusable building materials. The following chart outlines the many ways in which ceramic tile can satisfy conformance requirements, or contribute toward credits and points. For more comfort, try to look for products that are Green Squared Certified. Measured by third parties, these products provide sustainability and in some cases even provide additional compliance and points. 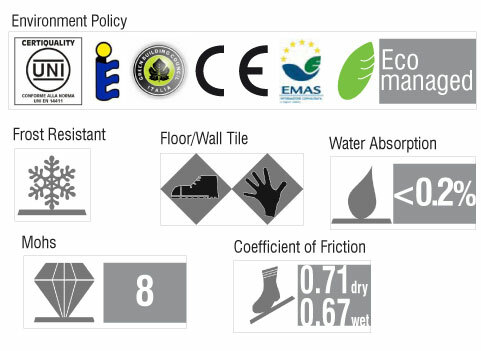 They are the world's only multi-attribute sustainability standard for tile and all the associated products needed to install it. Only products that are independently evaluated by an approved certification body can have the Green Squared Certified Mark. Find Green Squared Certified Products here. 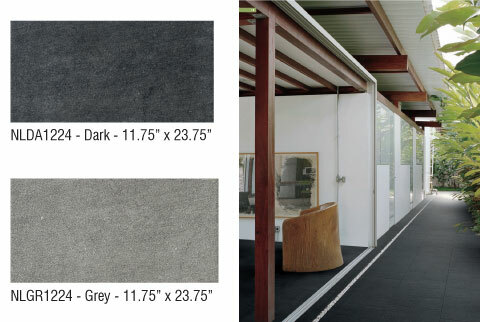 A study was made about the life cycle costs for floor finishes (per square foot) was compared to several different floor types by Scharf Godfrey (a construction cost consulting firm). The per year cost includes installation, maintenance, and removal costs. The Protoshop by Lamborghini is the first multi-storey industrial building in Italy in Class A: it covers an area of almost 5,000 m2 and was designed for the famous vehicle manufacturer to house its “Prototypes and Pre-series” department. The project is the work of the Prospazio team of architects of Modena, who chose the ultra-slim (3.5 mm thick) and big size (3m x 1m) Slimtech slabs by Lea Ceramiche for the covering of the ventilated façade. Lea Slimtech is ideal for the construction of low energy buildings because it is 100% eco-compatible; it releases less pollution into the atmosphere, makes the most efficient use of natural resources, achieving savings in transport and packaging, creating less production waste and optimizing its energy performance. Download the technical information on this project. 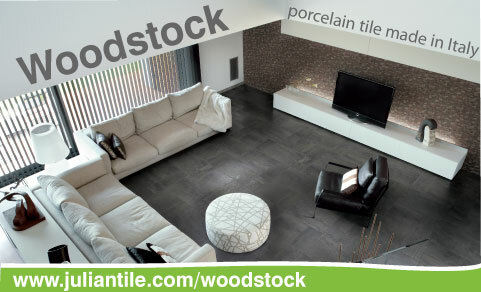 Woodstock Series comes in 5 different sizes and gives you hundreds of setting possibilities. And because Woodstock Series is certified by the Green Building Council of Italia and EMAS, the European Eco-Management and Audit Scheme, you can free your creativity and feel good about our environment. 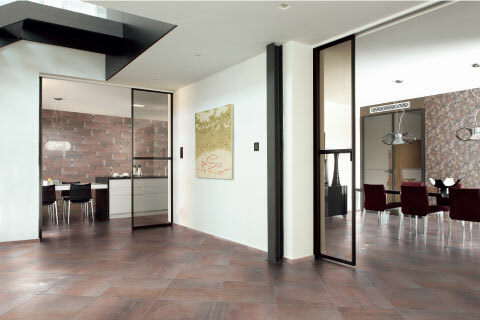 Tile is a clever choice for anyone who wants to build green. 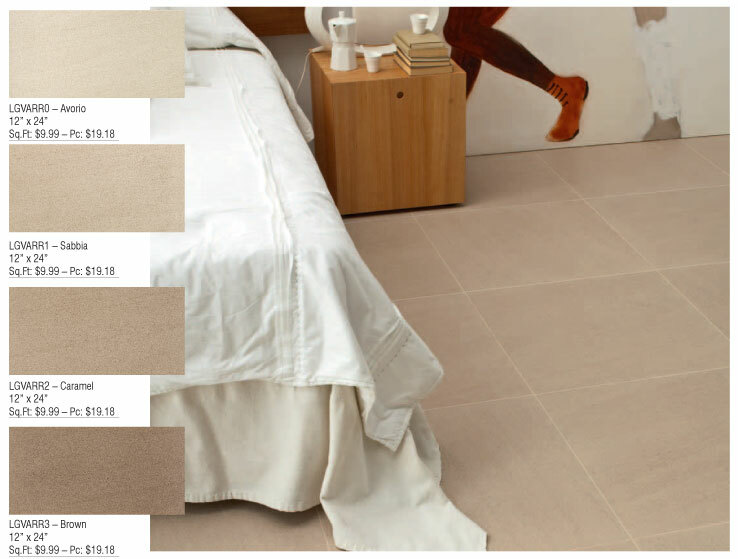 Take a look at some facts that make ceramic and porcelain tile a environmentally-friendly material. 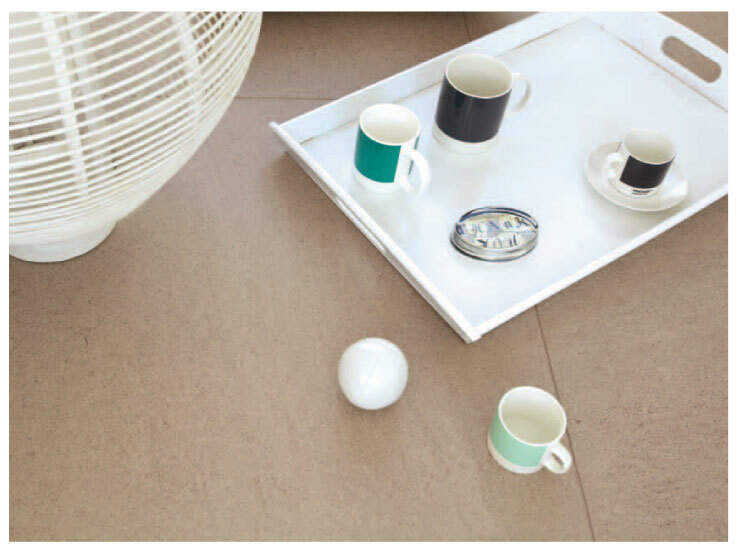 Life Cycle - When installed properly, ceramic and porcelain tile can last a lifetime. 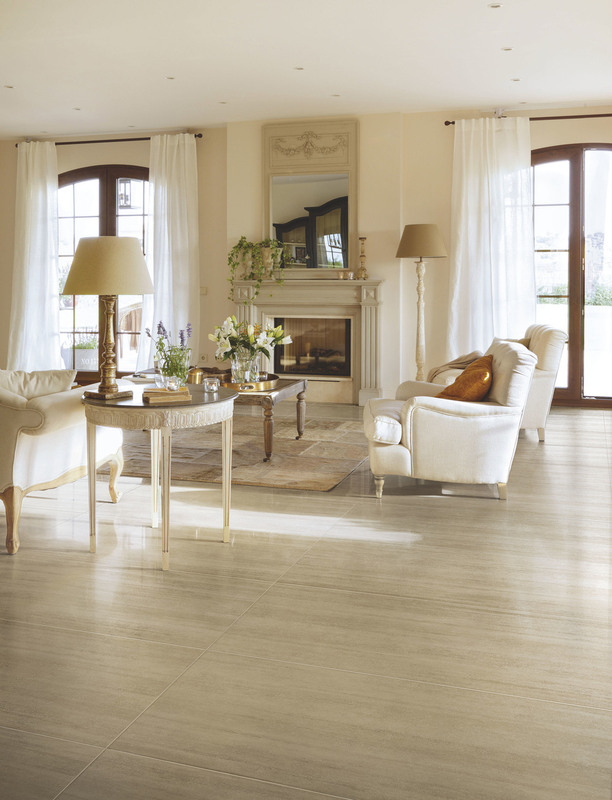 Unlike carpet, laminate or vinyl, ceramic and porcelain tile does not have to be replaced periodically. Recycling - Most of the tile factories today are getting certified for eco responsible process. Reutilization of water and materials are common ground. Air Quality - Volatile Organic Compounds (VOCs) is a big factor on many health problems. 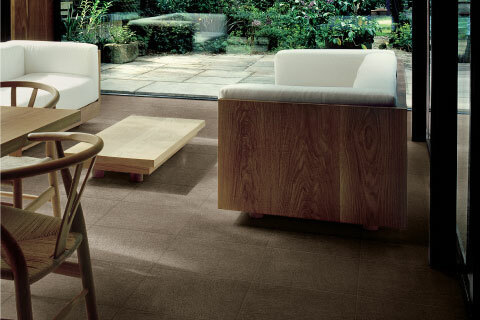 Ceramic and porcelain tile are fired to extremely high temperatures removing 100% volatile organics. 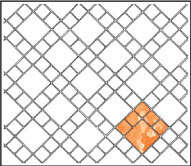 You also can use grout and adhesives with zero or close to zero VOCs. 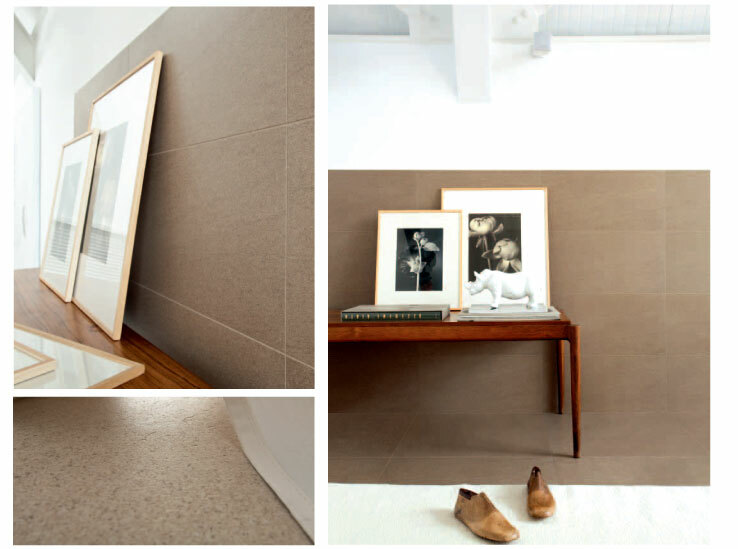 Low Maintenance – You don’t need chemicals to maintain the beauty of your tile. Often just warm water will do the job.